Things have been a little busy in real life so I hope to catch up on my blogging soon. 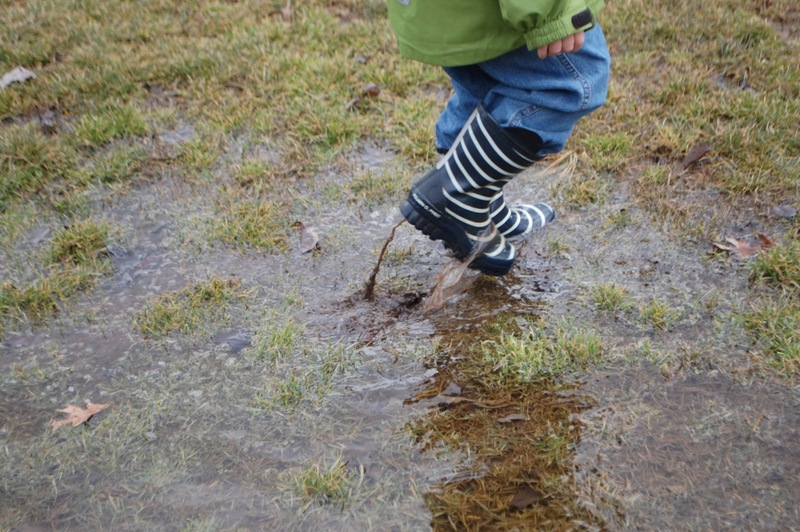 Thankfully, we had some nice moments this week to slow down and cut through the mania with some mud and signs of spring. These delicate little beauties are truly one of my favourite flowers. It always gives me a little thrill to see their graceful heads nodding, reminding me that the days are lengthening and nature is springing back to life. 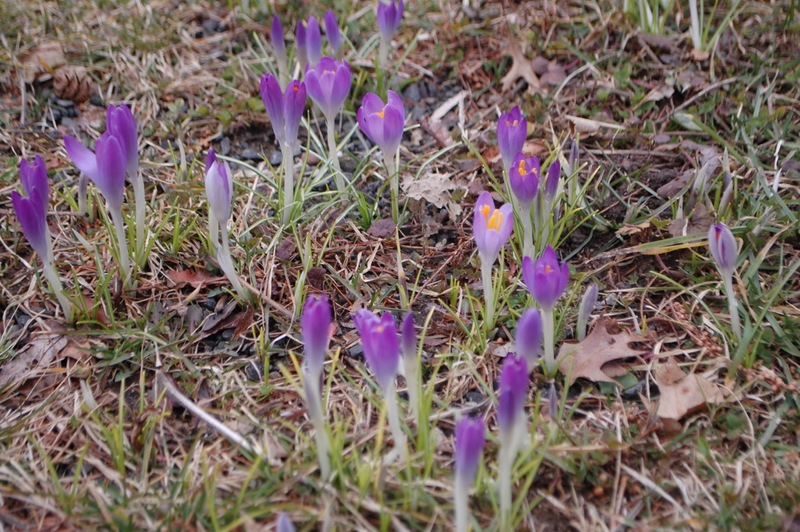 We also found a lovely bank of crocuses. Another subtle sign that the seasons are turning. I thought it was beautiful, with its scarlet fronds creeping through the swampy leaf litter. 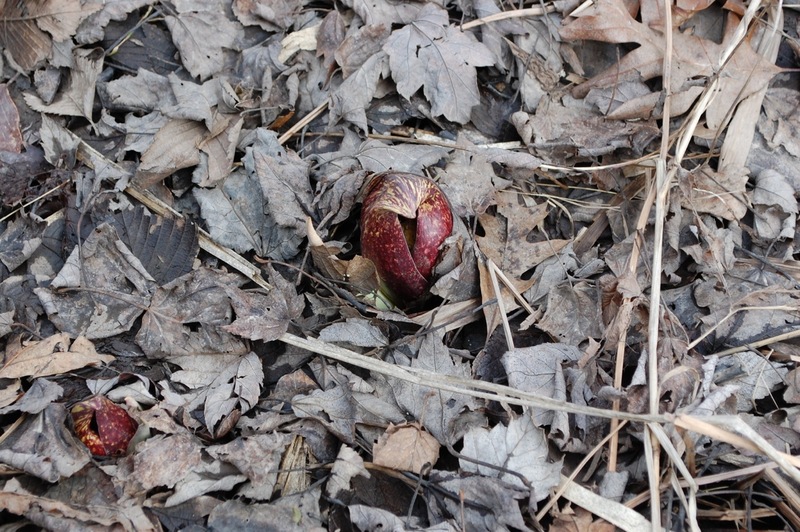 My husband recognised it immediately, the striking (but stinky) skunk cabbage. It’s a good reminder that beauty comes in all shapes (and smells!). Bringing greenery into our home is one of my favourite aspects of Christmas. Our picture frames are decorated with sprigs of holly and small fir branches. There’s our Christmas tree, of course. And our gingerbread house has a pine cone garden. I even made a wreath for our front door. All we’re missing is a sprig of mistletoe! It brings back memories of helping my mum decorate in this way. 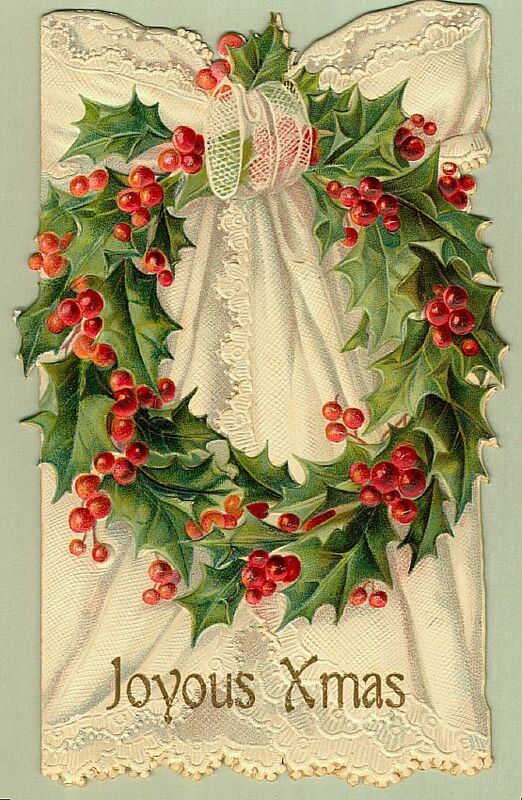 I used to love the way she’d work her magic on the wreath. My own wreath is a much humbler affair! Decorating with plants like holly (or ivy) and evergreen branches are also a great way to stay green (and save money!) too. Myself and my 2 year old collected the holly and pine cones from our local park. The holly sprigs were all just lying on the ground under the holly bushes. The fir branches for the wreath and decorations came from leftovers from where we bought our Christmas tree. We bought our Christmas tree from the local Rotary Club, who were selling locally grown trees in aid of local charities. The greenery, combined with the paper chains I made with the kids, makes me feel glad that we’ve decorated our new home in a seasonal and sustainable way. Other little eco steps we’ve made this year are things like making some of our own wrapping paper (mostly involving upcycling the brown paper that arrived with some of our present purchases) and buying from local businesses where possible. We’ve tried to not go mad on the gift giving front and only buy (or make) gifts that are wanted and will be used. My 2 year old is actually excited about Santa this year. It’s still mostly over his head, but his “ho ho ho” and love of helping me to wrap (and make the paper using his excellent Melissa & Doug stamp set!) have added an extra dimension of fun to the proceedings. My baby girl is 9 months old tomorrow and I’m looking forward to dressing her as an elf and capturing it for posterity – nothing like dressing your babies up in ridiculous outfits to add joy to festivities! All in all, I’m excited about our first Christmas living in Maplewood. I feel this is the start of our family Christmas traditions, as myself and my husband take the best of what we grew up with, and things we’ve learned together, and weave together the memories our children will cherish. I love this time of year! So I wish everyone reading a joyful, peaceful and green Christmas. It’s snowing outside as I type. It’s beautiful and gives me a fuzzy glow. It turns our very ordinary street into a winter wonderland! This morning we went to the library for our first singing session. I was feeling all organised – we’d drive instead of walking, as it was actually snowing which seemed a justifiable reason to drive. I had packed snacks & diapers & drinks & random stuff & a bag to carry home any books we checked out. The kids (and myself) were super bundled up – DD looks beyond cute as her red hat has ears on it and DS’s mittens are gorgeous. 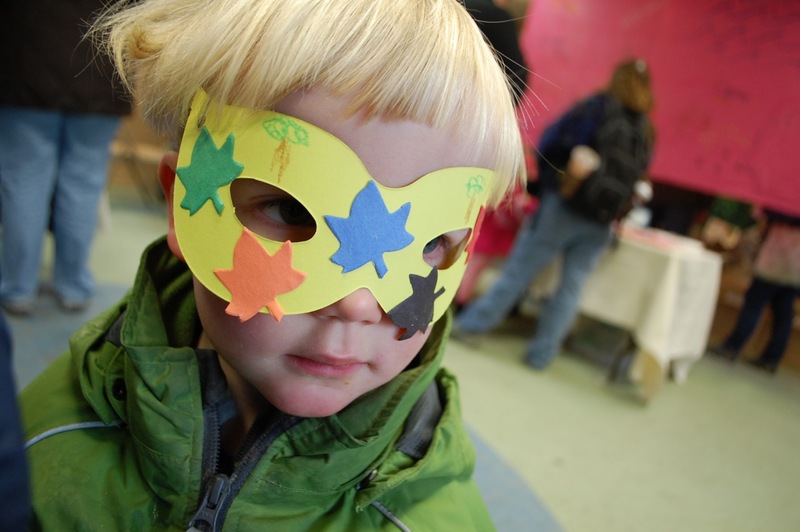 This is the firstI was, dare I say it, feeling a little smug at how organised I was..I was also a little excited – this was our first “activity” in our new town and would it be like the sessions at our local London library? And then we set off. Firstly it was kind of mad to drive in falling snow (it was my first time doing it). And then parking was a faff – I drove around and around looking for a spot, silently cursing all the bloody piles of leaves that still need to be collected, reducing on-street parking. Time was ticking – parking was taking longer than I’d expected. And I hate to be late! When we finally park up I get the 8 month old in the Ergo and grab my handbag & random stuff bag. And then the 2 year old reveals that he will not walk in snow. He will only move if he has a “hippie up”. I’m explaining how I just can’t carry him on my hip, due to the baby & the bags but it’s OK as he loves walking and the library is just there and we’re about to have so much fun singing etc etc. No dice. I try bribing with raisins. Again no dice. Which is fair enough as raisins aren’t that appealing when your hands are all mittened up. But still, raisins are usually foolproof! Cute as he looks in his hat & snow gear, he’s not budging without being carried. So I lug him along. His sister thinks it’s all hilarious – he’s so close to her, there’s snow falling on us all, she’s laughing and smiling. He’s much less happy. He doesn’t like the snow, either on the ground or on his eyelashes. Or on my hair. Or on his sister’s hat. Or anywhere really. I’m also much less happy – my back is killing me and I feel like an idiot for not even anticipating that this might happen! The singing session was fine. We then checked out some books. And that was fine too. And then we got all dressed up in our outdoor gear again and headed for the door. The snow was heavier and the whole place looked even more blanketed. 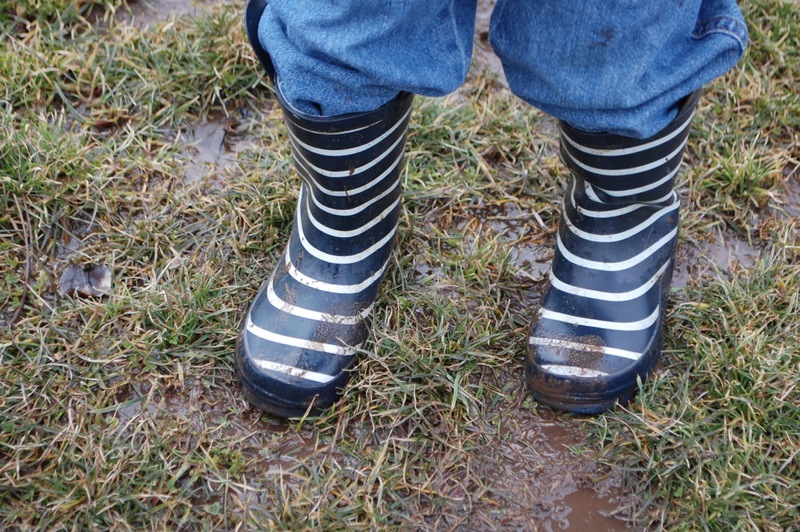 And my son would still not walk in it. He still did not like it. So I lugged him back up the couple of blocks to the car (with his sister laughing the whole way, there’s obviously nothing funnier than her mum carrying her and her big bro through snow!). Overall it was definitely not the winter wonderland I’d imagined when we set out. And there’s no way I’m attempting an outing like that again while he’s in snow refusal mode – my back won’t take it! So I think it’s time to get back to snow basics. Or take baby snow steps. Or something. Like looking out the window at the snow. And sitting on the front porch looking at it. And then, hopefully, playing in the yard with it. It’s time for Operation It’s Snow Problem to begin! About 2.8 kg of caster sugar (you can mix in a little demerera if you prefer a darker coloured marmalade). Makes about 9 decent sized jars. (Tip: I always prepare more jars, as better to have too many ready than not enough! I save jars, so my jars are all different sizes). Scrub the fruit, cover with water and boil whole for about 2.5 – 3 hours until totally soft (your kitchen will smell divinely orangey!). Leave to cool completely (either overnight or for several hours). Do not throw away the water! Once cooled, remove the fruit from the water and reduce the orange infused water massively (by at least three-quarters). You may find that some fruit has split during boiling – if this happens, strain the water through a muslin before reducing (as you don’t want any pith in the marmalade). Meanwhile, chop the oranges and lemon in two, scoop out the centres, seeds and as much pith as possible. Gently strain the centres/seeds/pith through a muslin into the orange water. You can also use a sieve but push it through gently, as you don’t want any pith in the water. Discard the lemon and regular orange rind (or use in another recipe if you can) and all the pith/centres/seeds. Thinly slice the Seville orange rind (willing and helpful children come in useful for this part!). Add the rind to the orange water. Bring to the boil and add most of the sugar (tip: warm the sugar gently in the microwave first). Keep boiling (and stirring) until it’s sticky – about half an hour to an hour. As it’s boiling, taste and add more sugar if needed. While it’s boiling, put a plate in the freezer so that it’s nice and cold for when you need to test if it’s set. To test if it’s set, place a small spoonful of marmalade on the cold plate. Let it cool and then run your finger across it. It it wrinkles then it’s ready. Be careful that it’s not too set/over hard, so it’s better to start checking early. If it’s too set, then just add a little more water. 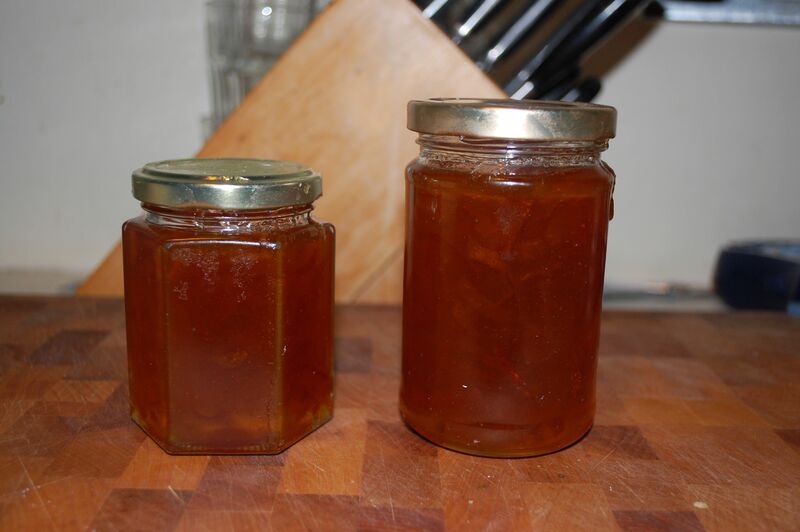 Ladle into sterilised jars (I sterilise jars in the oven, as I find it the easiest way to sterilise while also making preserves – see here for great tips on how to sterilise). Leave to settle for 15-20 mins before sealing. 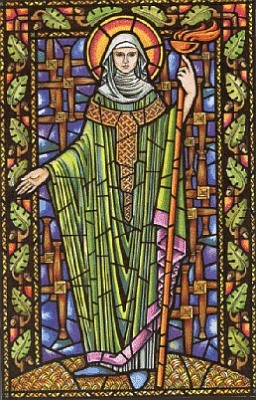 Today is the feast of St Brigid (or Lá Fhéile Bríde in Irish). 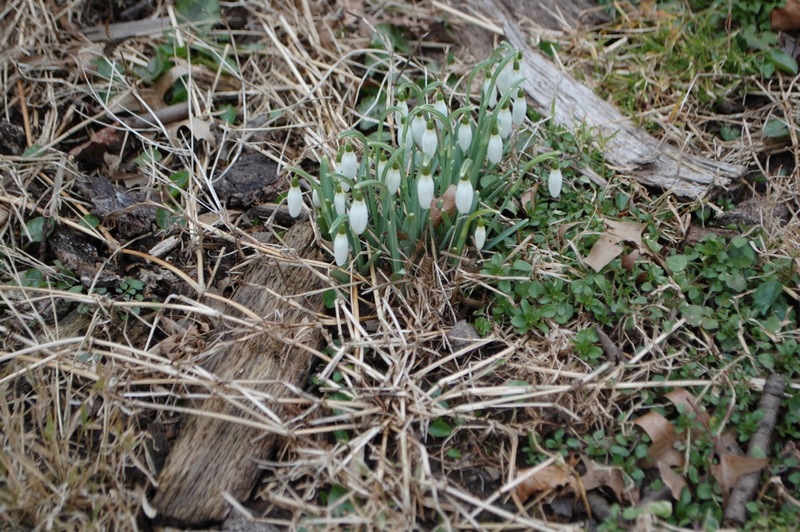 It’s also the Celtic festival of Imbolc, so it marks the start of Spring in the Irish calendar. My (American) husband thinks I’m mad, but I really do think of Spring starting on 1 February, Summer (Bealtaine) on 1 May, Autumn (Lughnasadh) on 1 August and Winter (Samhain) on 1 November. In fact, it was only when I moved abroad to study as a teenager that I realised other countries didn’t see it that way! And I’m still never sure when my husband thinks seasons start (is it at the solstices? Or on a particular month day?). 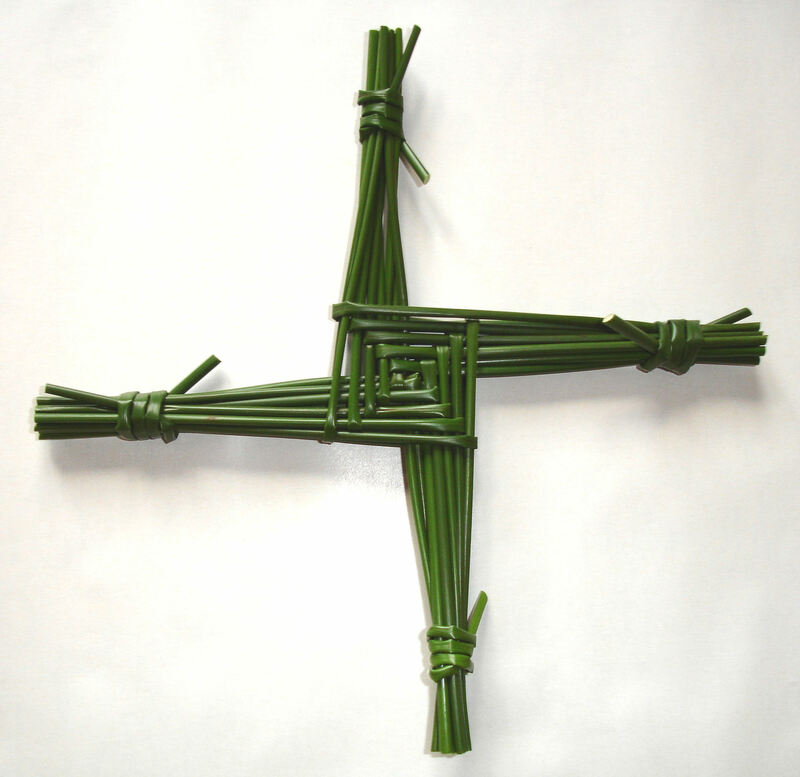 The cross would then hang in the kitchen for the year, gradually drying out and turning brown, before being burnt the following St Brigid’s day and replaced with a fresh cross. I’ve not made a cross in years, but my mum still has an ancient one from when we were still at school hanging way up high in the kitchen. While St Brigid is an interesting early Irish saint, she shares her name with the mother goddess of Celtic Ireland – the goddess Brighid. I was definitely taught more about the saint, but she and the goddess are bound together in my childhood memories so I can’t really separate the two in my imagination. For me, this day is a day to reflect on the gradual lengthening of the days, the return of light to our lives after Winter’s darkness. I leave for work at 7.30am and these days it’s now bright (sun isn’t officially up yet but it’s inching closer by the day). I love this time of year, as I can’t help but be cheered by the days getting longer.